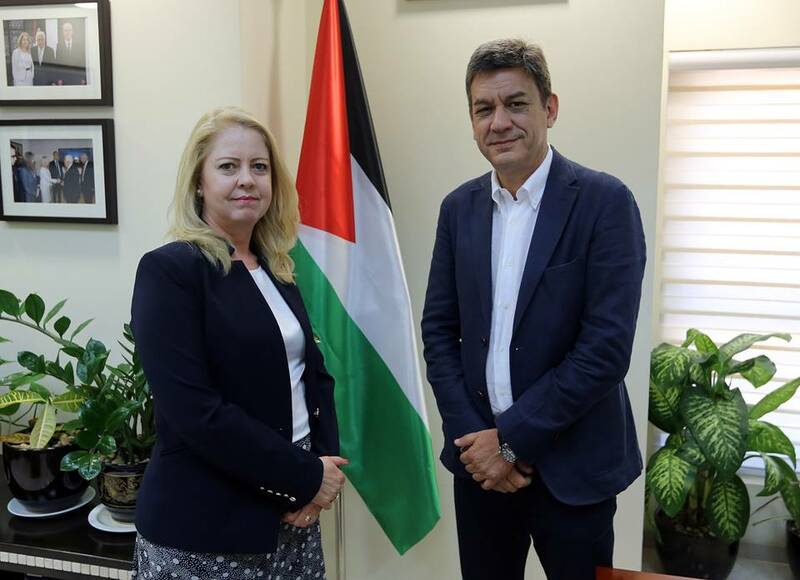 On June 27, 2018, in Ramallah, Mr. Marcello Scalisi, UNIMED Director, had an important meeting with Prof. Khairieh Rassas, Advisor of Palestinian Prime Minister, H.E. Prof. Rami Hamdallah. During the meeting, Mr. Scalisi confirmed the UNIMED commitment to Higher Education, Research and Innovation in the Mediterranean Region. On this occasion, ways and means of strengthening academic and research cooperation between the Palestinian universities and UNIMED were discussed, as well as the establishment of joint scientific projects and programs that will enhance the quality of scientific research and of Educational skills of the Palestinian Universities.